To build an inclusive, fair, and just region, means increasing local organizations’ capacity to serve the needs of our fellow citizens; creating the conditions for all people to reach their full potential. Under the direction of Byron Johnson, Capacity Building Initiative Officer at EBCF, we are excited to report that the ASCEND:BLO initiative continues to flourish by supporting, guiding, and connecting black-led organizations across the Bay Area to serve the needs of local communities. 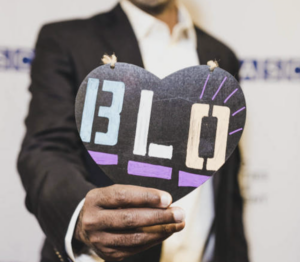 The first year of the BLO Initiative saw many successes, including the development of an Accelerator Pitch Showcase and the completion of the 6-month capacity building program by the inaugural Accelerator Cohort. The success of the Accelerator Showcase Event in December 2018 was due in large part to our core capacity-building providers and the work of Walker and Associates. The event drew an audience of over 60 attendees, many of whom expressed an interest in supporting the initiative and the organizations. The showcase marked the close of a successful 2018, with promise of continued momentum into 2019. As we move into 2019, the year is off to an energetic start as we continue to build upon the year one of the Initiative and the many elements set in motion by the Accelerator and the Network. Our team is currently engaged in designing the application process for the next phase of the program, the much-anticipated Stabilizer Cohort. Selected organizations will enter a 3-year program for mature community anchors designed to minimize risk and guide BLOs through transition by providing leadership development, board recruitment, advanced training, and succession planning. We are also excited that share that our network of black led organizations is continuing to grow. When we launched the program in August of 2017, there were approximately 175 BLOS listed in the network. As of March 2019, we now have a growing network of over 250 black-led organizations throughout Alameda, Contra Costa, Marin, San Mateo, San Francisco, and Santa Clara Counties. The ASCEND:BLO Network provides peer networking and learning for all affiliated BLOs, and includes access to workshops, speakers, and an annual conference. Combined, these Bay Area organizations manage nearly $614 million annually and employ over 9,200 people. We have recently formed a planning committee that will help organize first ever, ASCEND:BLO Network Summit, a one-day event which will be held in June, to coincide with Juneteenth. The location and date will be confirmed in April. The planning committee is comprised of members of the funder’s collaborative and BLO leaders, who will work together to guide the overall planning and design of the event, including identifying notable speakers and presenters for plenary sessions. Interested organizations should visit ebcf.org; subscribe to the EBCF Newsletter, and e-mail ascendblo@eastbaycf.org for more information. There is much important work ahead of us, and we will continue to take it in stride. With 2018 behind us, we are finalizing the year-one evaluation report with evaluators from Teng & Smith. Upon completion, the final report will be made available publicly. We hope that you will join us as we progress along this journey and continue to follow our work on the ASCEND:BLO initiative. Follow the East Bay Community Foundation on social media for behind-the-scenes glimpses into the work to build the capacity necessary for a thriving nonprofit community.